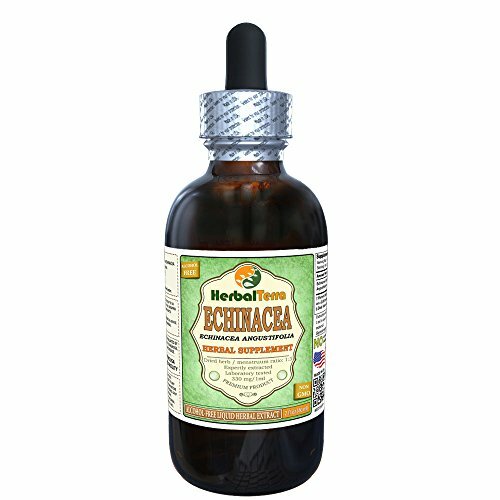 Herb Pharm Certified Organic Echinacea extract works with the body’s natural mechanisms to support the immune system*. 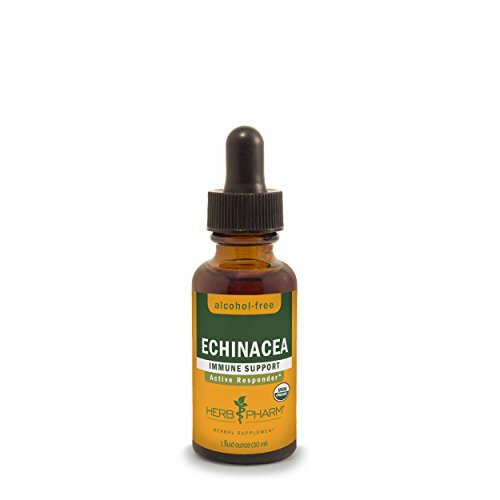 Echinacea extract is prepared from fresh (never dried) roots of Echinacea purpurea which are Certified Organically Grown on Herb Pharm’s own farm. To assure optimal extraction of Echinacea's bioactive compounds, the roots are hand-harvested and promptly extracted while still fresh and succulent. 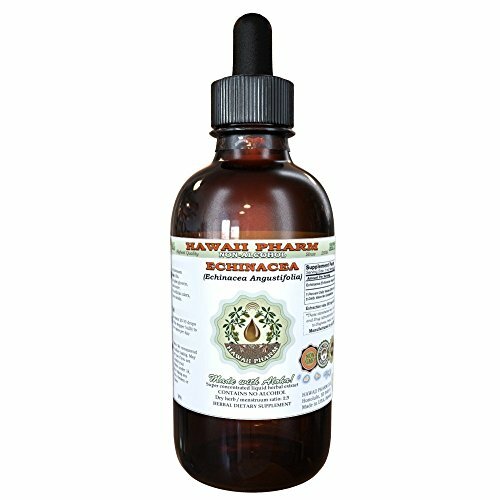 Echinacea is easily dosed and taken in liquid form. It may be added to water or other liquid for taste and is easily absorbed into the bloodstream. Echinacea has a deep, earthy taste followed by a tingling mouthfeel. Herb Pharm never uses synthetic solvents. The company farm is Certified Organic, Bee Friendly, and Salmon Safe. Herb Pharm is the #1 selling liquid herbal extract brand in US Natural Food (SPINS). Herb Pharm is a company of herbalists, scientists, and farmers in GMO-free Josephine County, OR. It’s where they have been cultivating herbs with care, precision, and respect for nature since 1979. * This statement has not been evaluated by the FDA. This product is not intended to diagnose, treat, cure, or prevent any disease. 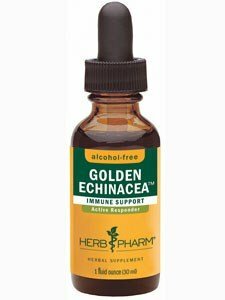 Herb Pharm Alcohol-Free Kids Echinacea Glycerite supports the healthy function of children’s immune systems. Herb Pharm prepares Kids Echinacea from certified organic Echinacea purpurea root and sweet orange essential oil for kid-friendly flavor. 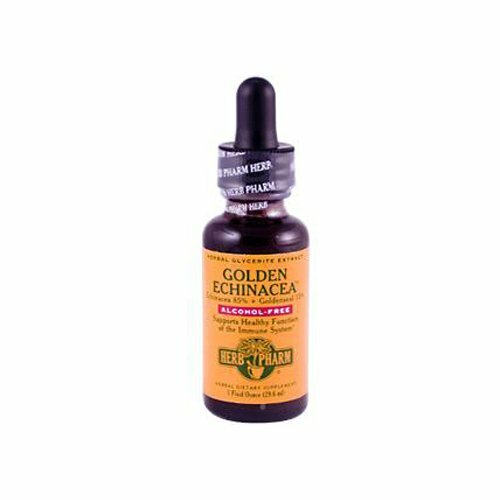 The Echinacea roots are grown on Herb Pharm’s own farm and are harvested and extracted at the peak of potency. Easy-to-follow dosing instructions based on body weight are included; simply add drops to a small amount of water or juice. The experts at Herb Pharm select only those herbs that time and experience have proven safe and effective for children. Herb Pharm Alcohol-Free Kids Echinacea Glycerite, like all Herb Pharm Kids’ herbs, is recommended by Aviva Romm, MD, an internationally-respected expert in botanical and integrative medicine for women and children. Echinacea angustifolia (Narrow-leaved purple coneflower, blacksamson echinacea) is a herbaceous plant species in Asteraceae. The plants grow 40 to 70 centimetres (16 to 28 in) tall with spindle-shaped taproots that are often branched. The stems and leaves are moderately to densely hairy. Echinacea angustifolia blooms late spring to mid summer. It is found growing in dry prairies and barrens with rocky to sandy-clay soils. Echinacea Angustifolia (Narrow-leaved Purple Coneflower or Blacksamson Echinacea) is a North American plant species in sunflower family. It is widespread across much of the Great Plains of central Canada and the central United States. Echinacea is a perennial herb up to 40 to 70 centimetres (16 to 28 in) tall with spindle-shaped taproots that are often branched. The stems and leaves are moderately to densely hairy. The plant produces flower heads one per side branch, each at the end of a long peduncle. Each head contains 8-21 pink or purple ray florets plus 200-300 purple disc florets. Echinacea blooms late spring to mid summer. It is found growing in dry prairies and barrens with rocky to sandy-clay soils. Many Native American groups used this plant for a variety of medicinal purposes. Supports Healthy Function of the Immune System*SUGGESTED USE: Shake Well Before Using. Two to five times per day take 30 to 40 drops in a little water.Seek expert medical advice before taking during pregnancy. *This statement has not been evaluated by the Food and Drug Administration. This product is not intended to diagnose, treat, cure or prevent any disease. Children's Echinacea Alcohol-Free 1 oz Orange-Flavored Children's Echinacea is prepared from: Fresh Echinacea root extract & Sweet Orange essential oil We prepare our Echinacea extract from fresh (undried) roots of Echinacea purpurea, which is Certified Organically Grown on our own farm, and sweet orange essential oil which is extracted without solvents. They are never fumigated or irradiated. Fresh herb / menstruum ratio: 1 : 2.5 Contains vegetable glycerine, distilled water, Echinacea extractives & Orange oil. CONTAINS NO ALCOHOL Suggested use: SHAKE WELL BEFORE USING Serving size is 1 drop per 4 pounds of child's body weight. (e.g.10 drops for a 40 pound child) Give two to five servings per day mixed in water or juice. Copyright © Wholesalion.com 2019 - The Best Prices On Glycerite Echinacea Online.